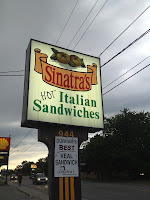 My friend and I were looking for some cheap eats and through many recommendations, we ended up at Sinatra's. It's a small place with seating and decorated like an expensive coffee shop. My friend ordered the chicken and I ordered the veal. They arrive on fresh Kaiser buns with lots of homemade sauce. Other toppings are extra, upto 0.90 per topping. It can make your $7.25 sandwich over $10. Even for that price, there's no way you'll leave hungry. 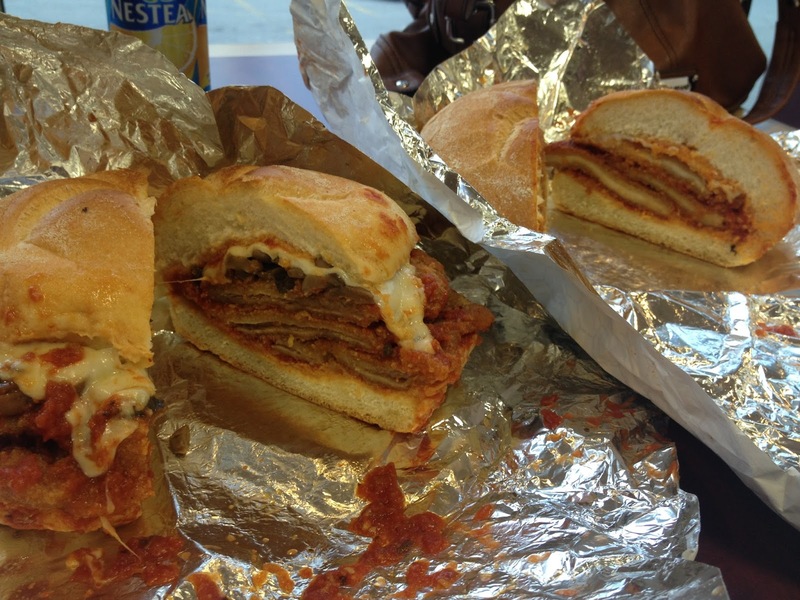 These sandwiches are HUGE and SUPER saucy. The veal sandwich had many paper thin layers of tender veal in a tasty breading. The chicken sandwich had 2 slices of juicy chicken in the same tasty breading. My only complaint is how thinly sliced the veal was. There was almost as much breading as there was meat. These are not 'Italian' sandwiches made by just anyone, this is actually run by an Italian family! And yes, I'd go back! There are a few other sandwiches with my name on em! Too warm out to cook and you're out of propane?! 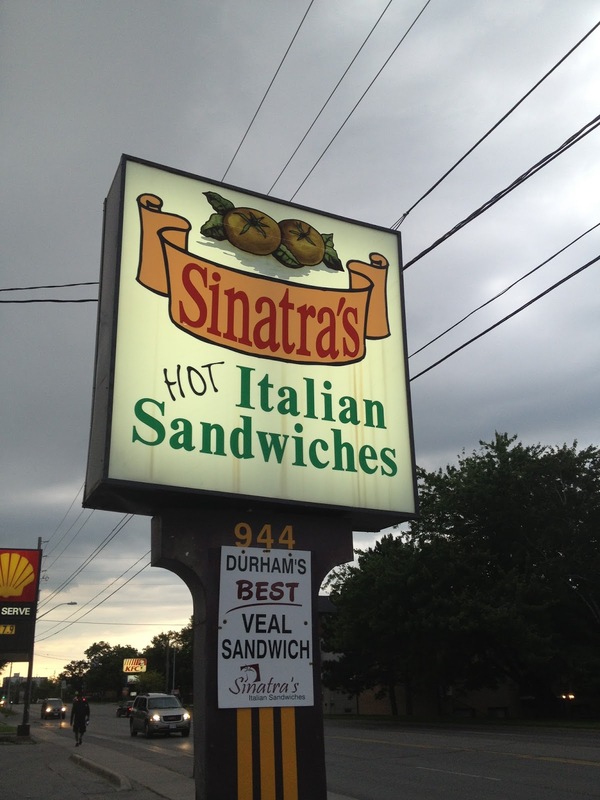 Head over to Sinatra's and leave happy.